Each year during our Annual Giving Program, we ask for your support to keep a long-standing tradition of exceptional family camp experiences alive and well. Your gift strengthens families—and in turn strengthens communities. In 2017, more than 150 families received financial assistance totaling over $120,000. Many of our scholarship recipients have never been on a family vacation, paddled a canoe or been to Northern Minnesota. Your donation makes these life-changing experiences possible for all families, regardless of income. Most companies match gifts to YMCA camping programs. Contact your human resources department today, and double your gift to camp. The Endowment Fund provides annual income to support Camp du Nord’s programs and operations. As costs increase, earnings from the endowment become increasingly important for providing experiences of the very highest quality, for being inclusive of all participants who are interested and for the camp’s overall financial wellbeing. Costs associated with going to camp are manageable for more families. 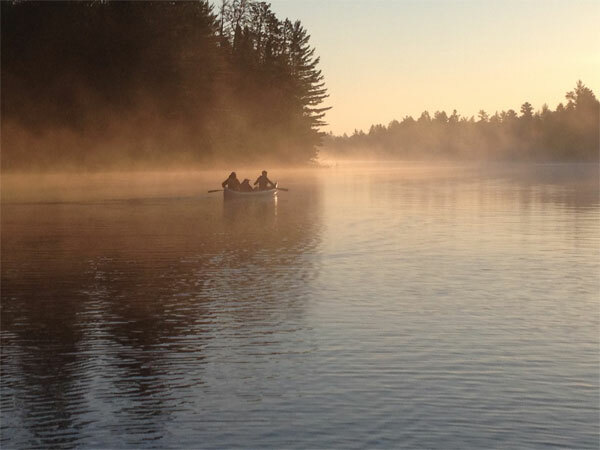 A $5 million Endowment Fund will assist greatly in making du Nord’s programs accessible to the widest range of campers, recruiting and training stellar staff and offering quality equipment and distinctive facilities in a serene, beautiful setting. To make an endowment gift, please call us at 651-645-6605. We are deeply honored to be remembered by our friends in such a personal and significant way. We recognize endowment donors through the Camp du Nord Heritage Family. Heritage Family members help strengthen families through exceptional programs in a natural setting. Honor someone special, either in memory or on a special occasion, like a birthday, wedding, anniversary or holiday. Your thoughtfulness will be appreciated, and the gift will have a lasting impact. Please contact Carolyn Caswell in Mission Advancement at 612-371-8707 for more information. Create a legacy that will impact camp for generations – a gift in your will, IRA, insurance policy, bank account, trust or other estate instrument. Not only can this provide a tax benefit to you and your heirs, but it will bring priceless benefit to our camp community long into the future. Please contact Jeri Glick-Anderson, the Y’s Senior Director of Planned Giving, at jeri.glick-anderson@ymcamn.org or (651) 435-6724, for more information.